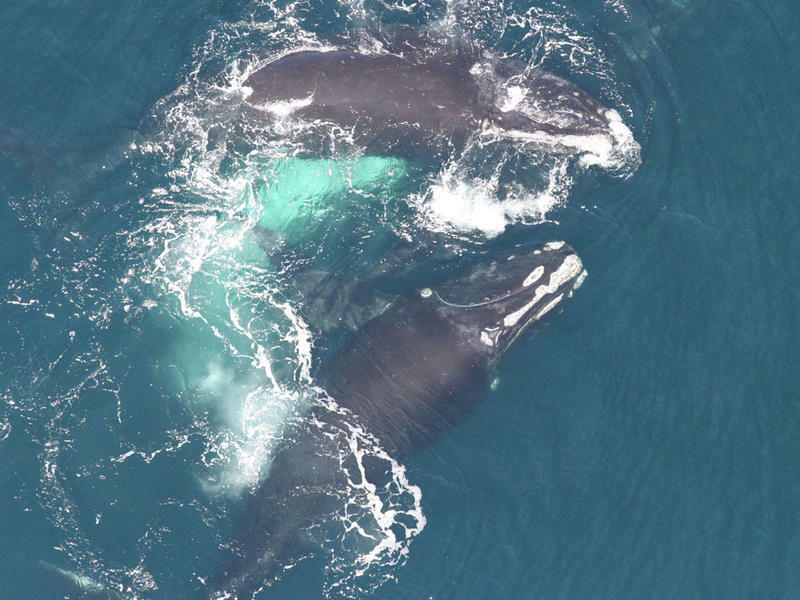 Two right whales at the surface, engaging in what scientists say could be reproductive or social behavior. NOAA Fisheries says it's asking mariners to either travel around an area 30 nautical miles south of Nantucket or transit through the area at 10 knots or less. 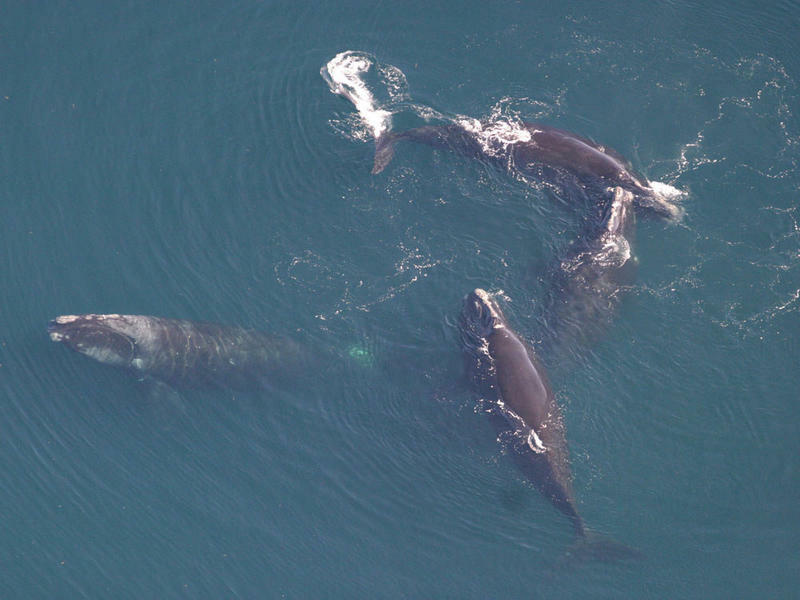 Right whales were decimated during the whaling era and are the source of longstanding conservation efforts.